Join us for dinner on Tuesday 14 May, followed by worship and some talks. 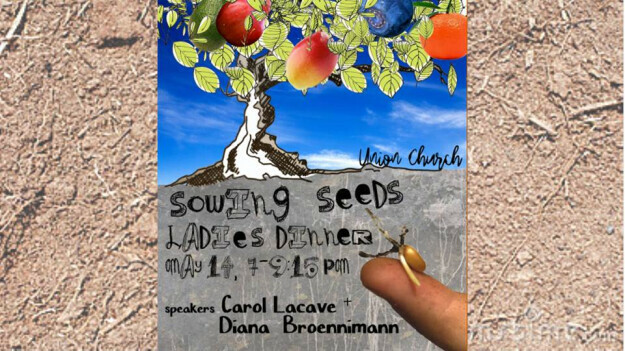 You won't want to miss this opportunity to meet other Union Church ladies - it's a great night! Bring a friend - sign up in the foyer.